Leading Manufacturer of electric butter churner, paneer cutting press, hand operated paneer press and pneumatic paneer press from Ahmedabad. 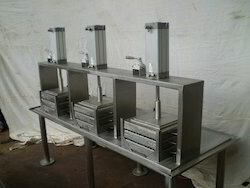 We offer a range of electrically operated butter churners, that cater to requirements of dairies and milk industry. Constructed using best grade raw material, these are resistant to corrosion, highly durable and require very little maintenance. The machine is provided with electrical panel with automatic times. 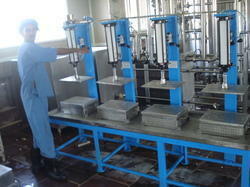 We supply all Capacity of Hand operated paneer press. For More details inquiry us. Looking for Paneer Making Machines ?